Snapchat has always been a bit of an upstart in the world of tech for a lot of reasons. The primary reason is that it is a younger social network and a decidedly less valuable company than some of the tech giants of the world such as Facebook, and yet it still manages to give these more established platforms a run for their money. 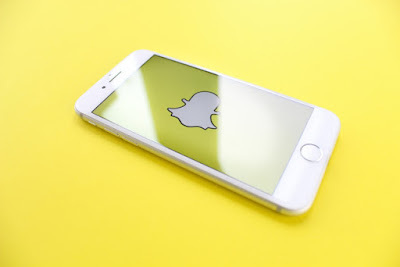 The main encounter that Snapchat has to deal with is with Instagram, which Facebook has constantly tweaked in order to make it more of a competitor for the more Gen Z centered application by adding some of Snapchat’s own features such as stories and the like. Snapchat’s latest attempt to try and one up its thoroughly heavily backed competitor is by adding check-ins to the mix, as noted by Jane Manchun Wong. These check-ins can be used in a lot of different ways, but their primary use involves letting people know where you are on the Snap Map and giving an indication of what you are doing as well by using your Bitmojis to convey various expressions that are quite important in the long run. There is a privacy issue that would need to be addressed here of course. Snapchat has done quite a bit to ensure that you get an adequate level of privacy though. One of the things that it did involve giving you a list of people that have checked your location, and also allowing you to control who gets to see this information in the first place.